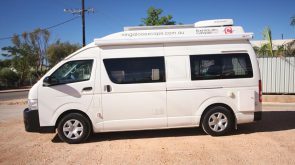 Exmouth Camper Hire’s, Super Hi-Top Camper Van is great Camper Van for a couple who wish for a little more space and driving economy over a long hire. 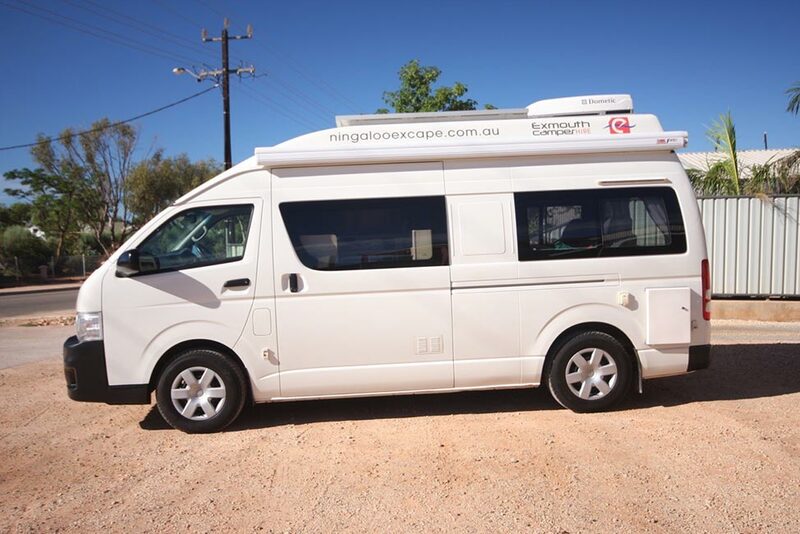 The Super Hi-Top Camper has 100 litres of water, a 110 litre fridge, air-conditioning in rear cab, pressurised hot water, outdoor shower, large Queen size bed, 3 burner gas cook top & inbuilt 12-volt fan. 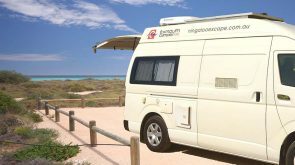 External features include a wind out awning for shade and solar panels fixed to the roof enabling 100% self sufficiency. 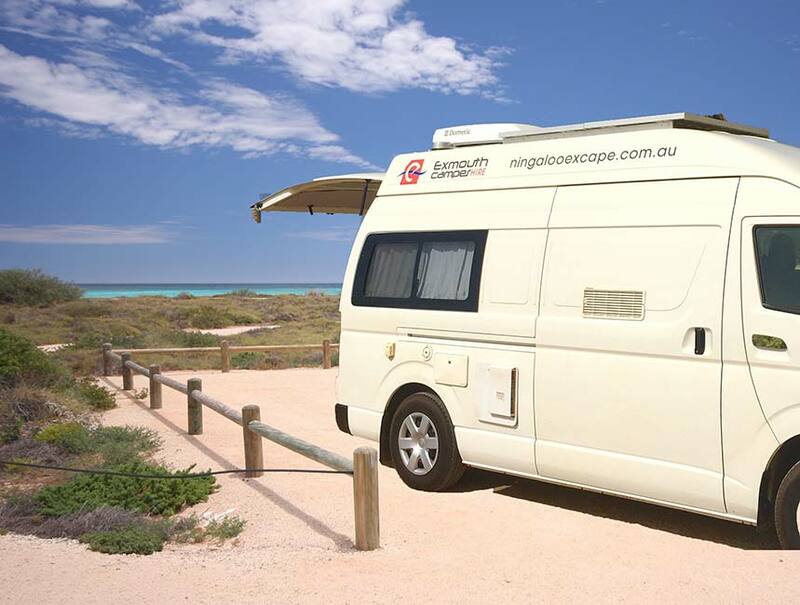 For safety, Exmouth Camper Hire does require a rough itinerary of your holiday if planning on going out of the Exmouth area.